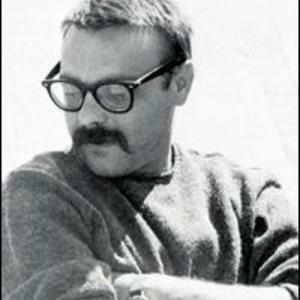 Born in San Francisco on July 17, 1928, Vince Guaraldi graduated from Lincoln High School and then San Francisco State College (n.k.a. San Francisco State University). Guaraldi was already performing while in college in such venues as the Black Hawk and Jackson's Nook, sometimes with the Chubby Jackson/Bill Harris band, other times in combos with Sonny Criss and Bill Harris. He did minor gigs as well, such as weddings. Guaraldi's first recorded work can be heard on "Vibratharpe," a 1953 release by the Cal Tjader Trio. In 1955, he put together his own trio: longtime friend Eddie Duran on guitar and Dean Reilly on bass--and tackled North Beach's bohemian-hungry club, where his piano work became a huge attraction. It soon came to be recognized as the Guaraldi sound. The original Vince Guaraldi Trio, with Eddie Duran and Dean Reilly, can be heard on two genuinely pleasant releases: "The Vince Guaraldi Trio" (1956) and "A Flower is a Lonesome Thing" (1957). Guaraldi toured in 1956 with Woody Herman's third Thundering Herd, replacing Nat Pierce on piano for one season.